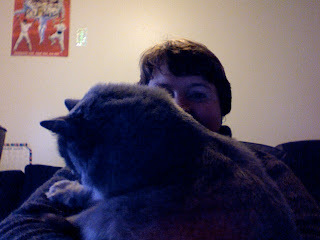 Samantha, trying her best to prevent me using the keyboard. She stands on my tummy and kneads my shoulder. There’s claws with a vengeance. Ow. This post brought to you via extremely slow one-handed typing. Two steps back, one step forward.